This marvelous leather bracelet has been created by artist Mario Becerra, who hails from generations of leather artisans. Sleek and powerful, this bracelet wraps around your wrist like a sturdy belt. 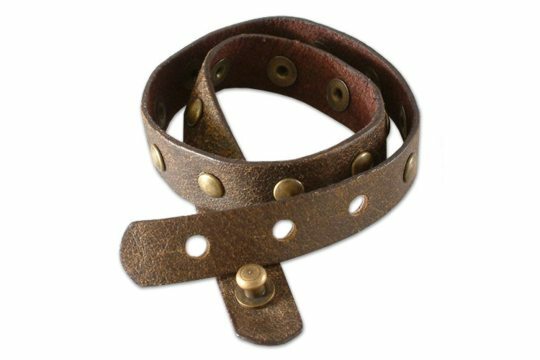 It leather is adorned with brass-colored studs and can be adjusted to desired length! Each bracelet arrives in a natural green burlap keepsake bag.